FREDERICK, Md. (AP) — A Maryland city has cleared what could be the last obstacle to its plan to rid the City Hall courtyard of a statue of the man who wrote the 1857 Dred Scott decision affirming slavery. 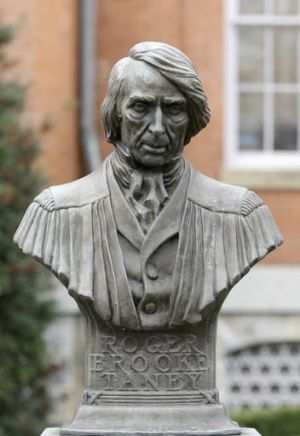 Frederick's Historic Preservation Commission voted 4-1 Thursday to allow the removal of the bust of Supreme Court Chief Justice Roger Brooke Taney (TAW-nee), and a nearby bust of Maryland's first governor, Thomas Johnson, who owned slaves. City officials say both will go to nearby Mount Olivet Cemetery, where Johnson is buried. The city hasn't announced a timetable for removing the sculptures. The Taney statue was erected in 1931. He practiced law in Frederick before becoming the nation's fifth chief justice. Aldermen voted a year ago to remove the Taney statue, which some find offensive.